Joseph Bowen is a second generation remodeling contractor with over 30 years of experience in all phases of custom remodeling and painting. Our company is fully licensed and insured with the State of Maryland. We also have a A+ rating with the Better Business Bureau and Angie’s List. Joe is the CEO of Bowen Remodeling & Design. He is hands on with the day to day operations of the company. He performs estimating and works closely with our crews. Cherrie is the CFO of Bowen Remodeling & Design. She handles the financial side of the company and works closely with our office staff. 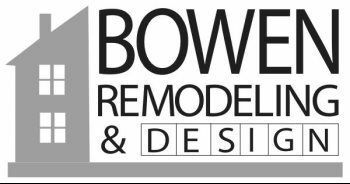 Bowen Remodeling was created with you the customer in mind. With our experience in the remodeling industry and listening to customer’s needs, we feel we have friendly solutions to remodeling. We have 14 fully set up bathrooms and 10 kitchen models set up in our showroom for you to see. Plus all the other materials that you would need for interior remodeling. There is no need to run around town when we have everything under one roof. Our sales staff are experienced designers that assist you with your project from design to completion. We use our own in-house remodelers and painters to complete our projects. (No Sub-Contractors or piece work). Our remodelers and painters are experienced in all phases of remodeling, painting, and customer service. Our systems were created with you in mind. We perform our remodeling and painting projects in a timely manner with the least amount of disruptions to our client’s lives. Joe holds the privilege of being the founding President of the Baltimore/ Annapolis Chapter of the PDCA. Joe is also the past president of the Middle Atlantic Council of the PDCA, and past chairman of the Education Committee. Joe often gives seminars for Benjamin Moore, Sherwin Williams, the PDCA, and many other organizations. He is considered any expert in the field of remodeling and painting. He is currently on the Board of Directors for the Crofton Chamber of Commerce. In 2013 Joe received the Rotarian of the Year Award and in 2014 he received the President’s Award for his charity work in the community. Through the organizations and clubs that we belong to we gain knowledge by continuing education and seminars. Our company and our employee’s gain the latest technology and up to date product information. Our company strives to hire the best remodeling and painting specialists in the industry. Every employee must attend weekly training meetings including topics of customer service, cleanliness, product knowledge, skills, and monthly safety meetings. Our training procedures and safety systems result in a quality product that is second to none in our industry.